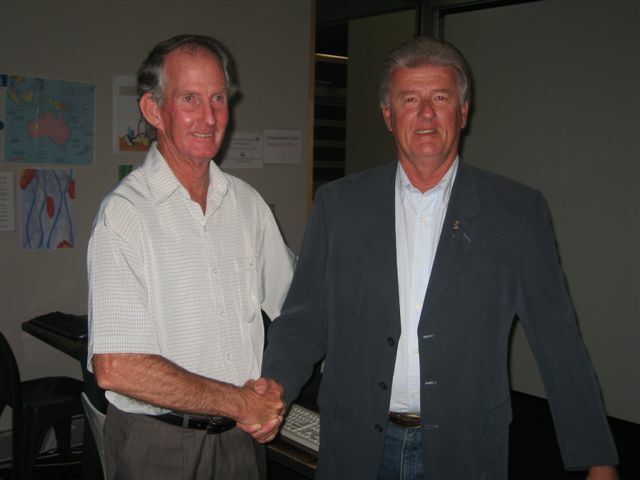 The NSW Hardcourt Tennis Association has awarded Life Membership to Rodger Waugh in recognition of his participation in the Hardcourt Interdistrict Competition for 50 years. Rodger, who is father of the cricket playing twins, Steve and Mark first played in 1958, representing Sydenham - Bankstown in the President’s Cup. He also played in this Cup in 1959, 1960 and 1961 and then went on to play in the Tremlett Cup in 1962 to 1964. From 1964 to 1980 he represented in the Men’s Open division in the Blackwell Cup and then started playing ‘seniors’ in the George Rider & Twyford-Jones Cups representing Canterbury- Bankstown or Eastern Suburbs from 1980 to the present. In addition to playing Interdistrict, Rodger Waugh played in a number of the Metropolitan Hardcourt Championships events over the years between 1958 and 1980 and records show that he won the 14 and under singles title in 1958 and 16 and under title in 1961. Rodger also participated in the Closed State Championships conducted by “Hardcourt” in the years between 1987 and 1996 and won the Veteran Doubles event on two occasions - with R. Fuller in 1987 and with G. Perkins in 1993. Rodger Waugh has been, and still is, a credit to our great game. His demeanour and sportsmanship is an example to aspiring future tennis players.